For those who want to migrate to Canada, Manitoba has invited 313 candidates through the Manitoba Provincial Nominee Program (MPNP). The MPNP is a Canadian immigration program that allows the province to welcome new immigrants. Manitoba has invited 313 candidates for immigration to the province through the Manitoba Provincial Nominee Program (MPNP). The MPNP is a Canadian immigration program that allows the province to welcome new immigrants who have the ability to establish themselves and their families in Manitoba, based on the eligibility criteria set by the province. 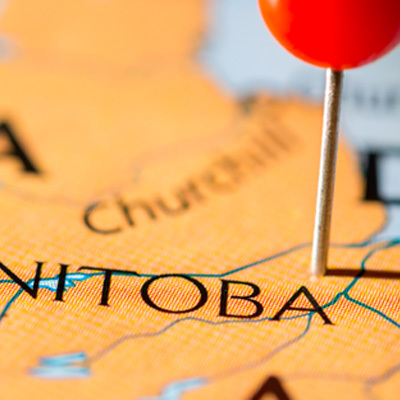 In the latest MPNP draw for skilled workers which took place on March 16, a total of 250 candidates were issued with a Letter of Advice to Apply (LAA) under the criteria for the Skilled Workers in Manitoba sub-category. The remaining 63 LAAs were issued to candidates in the Skilled Workers Overseas sub-category who were invited directly by the MPNP under a Strategic Recruitment Initiative. Recruitment missions – These are employment/immigration fairs which involve MPNP representatives interviewing foreign skilled workers and subsequently inviting them to apply after they have made a formal Expression of Interest (EOI) to the MPNP. Every candidate who has been issued an LAA had previously submitted an Expression of Interest (EOI) to the MPNP must first submit an EOI, then get an LAA, before submitting an application for a provincial nomination certificate. With this certificate, the applicant may then apply for Canadian permanent residence. The MPNP for Skilled Workers was established to help employers in Manitoba to find foreign talent to complement their existing workforce. The government of Manitoba selects experienced workers who have made an Expression of Interest in immigrating to the province and who have the skills needed across the local labour market. This MPNP sub-category is for qualified skilled workers who may be outside Canada but who can demonstrate a strong connection to the province and its labour market. A point’s based system is used to assess candidates according to factors such as age, work experience, language proficiency, education and adaptability.